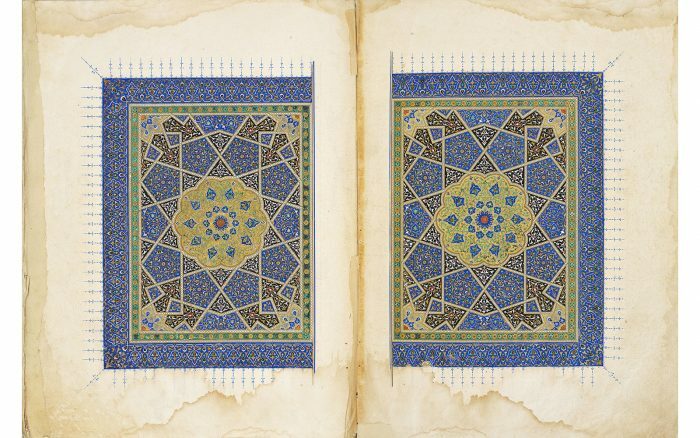 Visitors to the Sackler Gallery of Art this month will have a rare opportunity to see some of the most beautiful and precious religious manuscripts ever created. 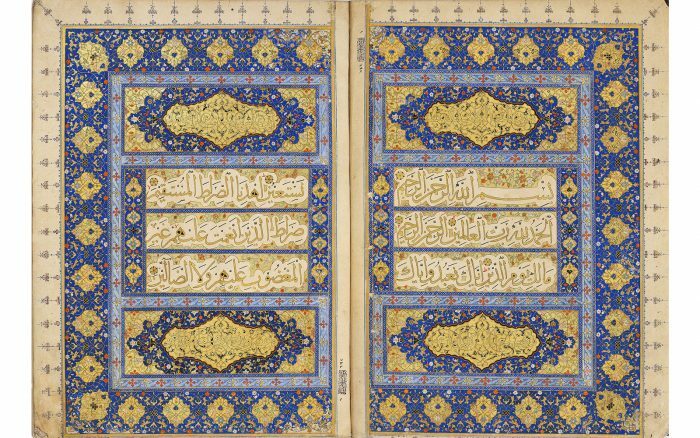 At a time when cultural differences can provoke division and conflict, “The Art of the Qur’an” opens the door to understanding. I urge you to see this stunning exhibition—the culmination of years of research, diplomacy and serendipity—and recommend it to others. 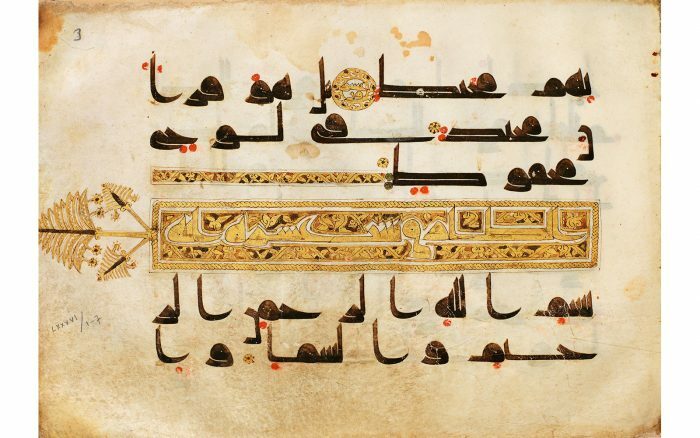 Qur’an. 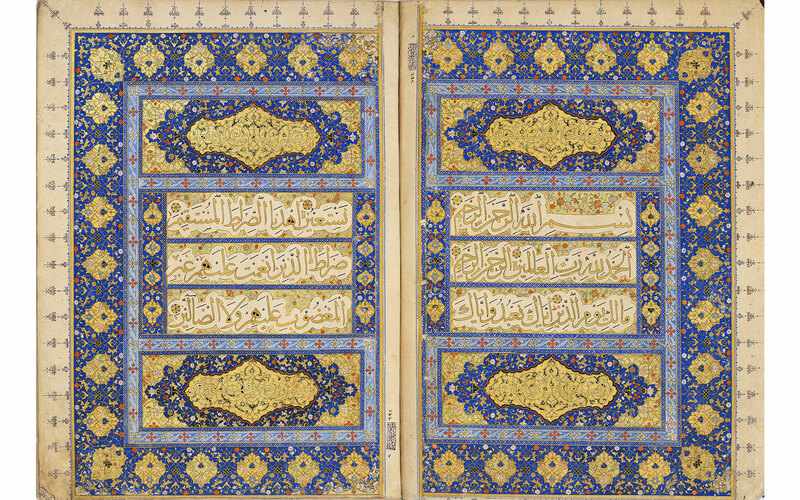 Calligrapher: Khalil Allah b. Mahmud Shah; Turkey, Ottoman period, September 1517; Ink, color, and gold on paper; Each page 37 x 29 cm; Istanbul, Museum of Turkish and Islamic Arts. Planning for the exhibition began in a serendipitous way according to Chief Curator Massumeh Farhad, when she discovered the Museum of Turkish and Islamic Arts was exhibiting its renowned collection of Qur’ans in 2010. Massumeh flew to Istanbul, and spent three days in the exhibition. “I was awed,” she says. While there, she met with the director, Seracettin Şahin, and the curator, Sevgi Kutluay, to see if there was any possibility of exhibiting some of the works in Washington. Subsequently, Julian travelled to Turkey for further discussions and six years later the dream has become a reality. 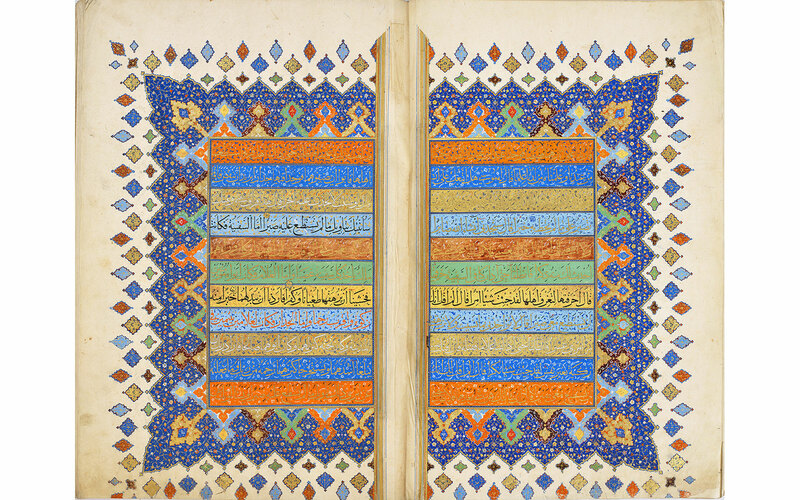 An additional 18 manuscripts are from the Sackler and Freer collections, including some long-term loans. 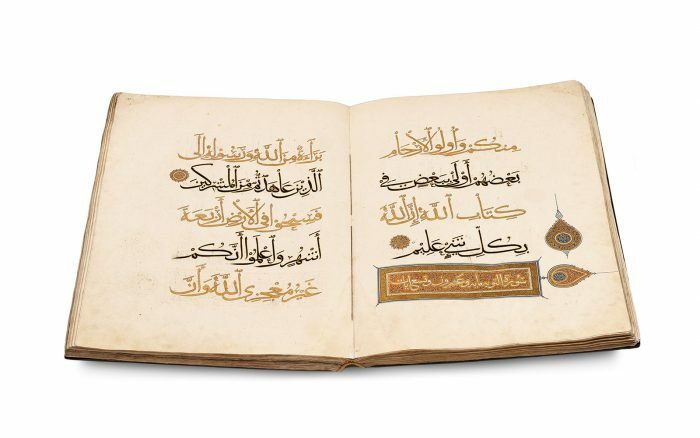 According to Julian, the exhibition is in some ways a sequel because it follows earlier exhibitions featuring religious objects and manuscripts. In 2010, the museum showed The Tibetan Shrine from the Alice S. Kandell Collection and, in 2006, presented In the Beginning: Bibles before the Year 2000. The exhibition, which closes February 20, was co-curated by Simon Rettig. It is accompanied by a multi-author, full-color catalog and a complementary website. In addition to children’s activities, there will be a series of public programs and an international symposium. The serendipitous events that inspired The Art of the Qur’an began a six-year journey of research, diplomacy, creativity, problem-solving, risk-taking, and commitment. The result is a once-in-a-lifetime visitor experience that can awe and educate in equal measure. It is an honor to host these national treasures of Turkey, and tell the stories of the people who created them. 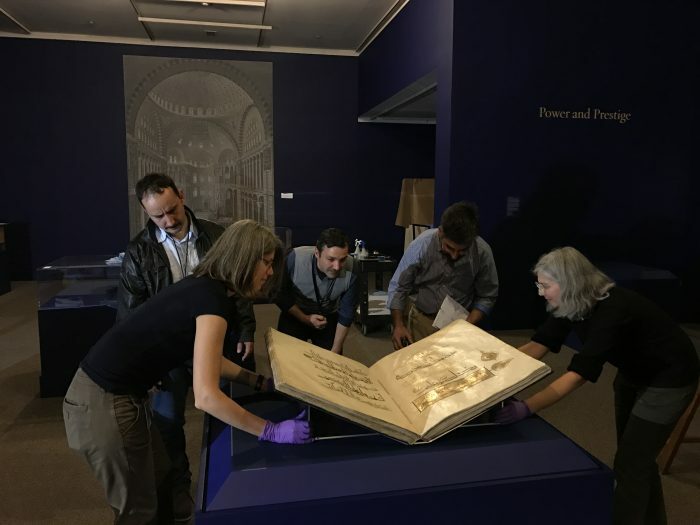 Congratulations to Julian, Massumeh, Simon and the rest of the Freer-Sackler team, as well as our colleagues at the Museum of Turkish and Islamic Arts.